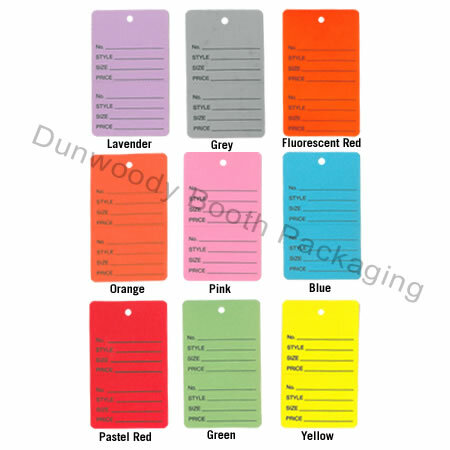 Our most popular two part tags in an array of colours! Perforated along the middle, these tags are perfect for any second hand or consignment store. Tags read: No., Style, Size, Price. One colour per box.